Described as a “classroom for queer history,” the reality TV drag queen competition RuPaul’s Drag Race has been a staple of modern American television since 2009. At a time when cross-dressing and drag were largely marginalised, the programme gave unprecedented visibility to drag queens. This chapter shows how Drag Race uses audiovisual techniques and familiar reality TV tropes to educate the public about gender and drag culture. In particular, it is argued that Drag Race teaches not only through technologies of drag but also through a rhetoric of authenticity typical of reality programming. 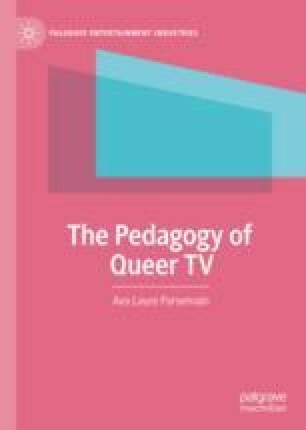 However, the chapter also demonstrates that Drag Race, especially in its early seasons, does not fulfil its educational potential because it reproduces misogynistic, transphobic and queerphobic discourses. Although it has shifted away from its oppressive ideology to become more inclusive in recent years, it continues to exploit and commodify queer history and LGBT+ socio-political issues.